Do you really like coffee? Do you know that under that bitter bite there’s a rich and full flavor? Well, if you want to pull out more of the goodness of your coffee with less bitter, check out the Flavor Enhancing Coffee Extractor, the system that pulls the good stuff from that cup of joe. This is a very simple process of basically straining your coffee through multiple filters to give the taste a chance to come out and cut the bitterness. 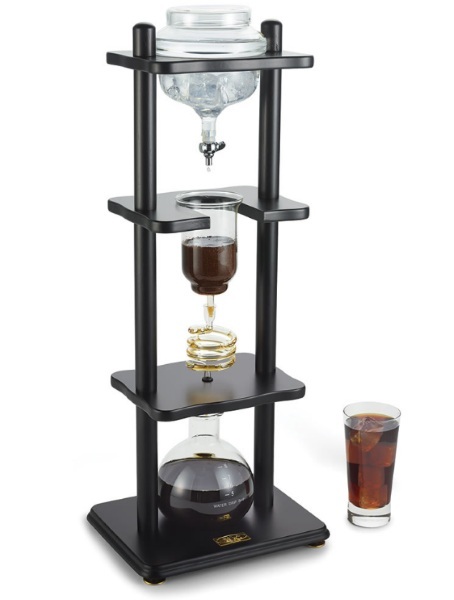 This is a cold brewing system that starts off with ice water that then drips down through a ceramic filter and collects at the bottom. This long process will cut the acidity by 65% and leave you with a cold brew that is much tastier. You can store the resulting coffee for up to two weeks in the fridge and heat it up if you like it a bit warmer than fresh from the fridge. This isn’t a quick process so if you want your cup when you wake up, you better plan a head. The cycle takes three to 8 hours to complete. The Flavor Enhancing Coffee Extractor is $299.95.